The Sylo Protocol provides confidential communication as a utility to the Sylo Confidential Communication App. The protocol acts as the confidential networking layer for the Sylo App, creating P2P connections and providing a way for users to interact and exchange data confidentially. The Sylo Protocol is being developed to provide fully decentralised confidential communication as a utility to all connected-apps within the Sylo ecosystem. Powered by blockchain and combined with other decentralised technologies, this Protocol will act as the networking layer for the Sylo DApp and 3rd-party connected-apps, while providing charging options for specific communications and services over the network. The fully decentralised Sylo DApp will be the 1st application built on the blockchain-based Sylo Protocol, using technology already commercialised in the Sylo App that’s currently used by thousands globally, available on Apple Store and Google Play Store. The Sylo DApp will be released in public beta in Q4 this year. The Sylo Protocol is a decentralised communication protocol that facilitates safe and standardised connectivity between users and Connected Applications on the Sylo network. Development is underway to implement the Sylo Protocol as a fully decentralised autonomous communication, storage and payment network able to be utilised by third party Connected Applications. The communication aspects of the Sylo Protocol are already in use within the Sylo App (www.sylo.io), a peer to peer communication application for confidential voice calling, video calling and messaging. This version of the Sylo App can be downloaded to Apple and Android devices from the App Store and the Google Play Store (as applicable). At the date of this White Paper the Sylo App already has 18,000 professional users globally. The Sylo App is to be implemented on the decentralised Sylo Protocol, becoming a fully decentralised communication application. The Sylo App will become the hub of the Sylo ecosystem – a confidential communication application that incorporates seamless access to decentralised functionality provided by other Connected Applications using the Sylo Protocol. The Sylo main token (SYLO) will be a utility token used to access and fuel the Sylo Protocol in a fully decentralised, blockchain context. 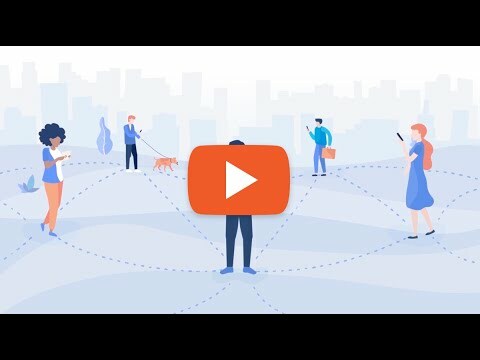 SYLOs will be required to access the Sylo Protocol, and to enable real-time communication (video, voice, messaging, data streaming), charged communications, and for decentralised storage, profile and address book management. The Sylo team has partnered with Centrality (centrality.ai) and the Sylo Protocol will be the sole communication protocol for all Decentralised Applications (DApps) within the Centrality ecosystem. The Sylo team is conducting a Token Generating Event (TGE) through its Singaporean subsidiary company, Sylo Protocol Pte. Limited, will be distributing SYLOs at a rate of $0.0087. The Sylo TGE will be run for a period of 30 days, or until the soft cap of US$25 million-equivalent is reached. At this point Sylo Protocol Pte. Limited may extend the sale with a hard cap of US$35m. The whitepaper is very vague: big letters, many pictures, no numbers. No competitive analysis or business planning at all. Why blockchain here? How to compete with existing communication tools/messengers? Very many questions here. Has the team enough competences to conduct an ico? → This is a high bar to cross in today's climate. Advisory team does not possess past experiences of executing successful ICO projects. → May consider beefing up the Advisory team. Sylo Google Play has over 10,000+ installs. Downloaded the app on my mobile and liked how there was already a properly functioning messaging app that worked well. Though there are many rivals especially in the mainstream like wechat, if Sylo is able to on board good projects that are useful to the community, there is potential for success. Will look out for more in the future.